Although it is proud that Vietnamese rice has been available in 150 countries and territories, Vietnam now has the national rice brand for the first time. On December 18, 2018, the national rice brand (Vietnamese rice logo) was officially announced by the Ministry of Agriculture and Rural Development, a first since beginning rice export to the world in 1989. The Ministry of Agriculture and Rural Development also announced that the Vietnamese rice brand has also applied for international trademark registration under the Madrid system, which was built on the basis of the Madrid Protocol and the Madrid Agreement. Both these documents establish an administrative process that allows trademark registration in many countries only through the use of a single trademark application. The announcement of the national rice brand’s logo is late, but still plays significant role for the rice export industry because it will create a distinctive identification mark and create a spill over effect for Vietnamese rice products. 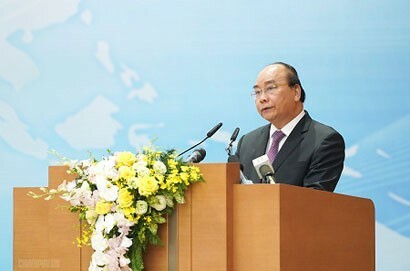 In order to support and encourage businesses and traders to use the national rice brand; supporting trade promotion activities, investment links, stable development and affirming Vietnam's brand of rice products in the international market, the Ministry of Agriculture and Rural Development has issued standards and regulations on use Vietnamese rice brand. According to Decision 1499/QD-BNN-CBTTNS 2018 of the Ministry of Agriculture and Rural Development about promulgating the regulation on the use of Vietnamese national rice certification marks, organisations and individuals are entitled to use the brand when meeting the following conditions: Being granted a business registration certificate or enterprise registration certificate, or investment certificate along with the contents of registration for manufacturing, processing and trading rice products; Obtaining a certificate issued by the competent authority that the enterprise is eligible for food safety regarding processing, preservation or trading, or the establishment has been granted one of these certificates: Good Manufacturing Practice (GMP), Hazard Analysis and Critical Control Points (HACCP) system, ISO 22000 Food Safety Management System, International Food Standard (IFS), Global food safety standards (BRC), Food Safety System Certification (FSSC 22000) or equivalent valid certificates. 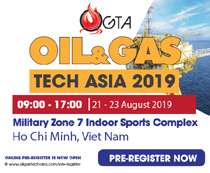 They must also have a valid certification for rice products in accordance with Vietnamese standards and fulfil tax obligations, and well implement environmental protection. Certified branded rice products include white rice, fragrant white rice and white glutinous rice. 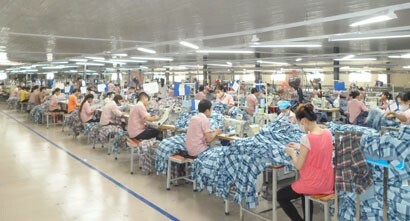 In terms of product quality, rice with Vietnamese brand must meet quality requirements according to national standards. Particularly, for white rice, it must meet the standards: TCVN 11888: 2017; white fragrant rice (TCVN 11889: 2017) and white glutinous rice (TCVN 8368: 2010). In case of standards’ change, they must meet the latest standards. The decision also stipulates that organisations and individuals are entitled to use brand with private labels of organisations and individuals on product packaging, trading facilities, advertisement and other transaction documents for rice products qualified according to regulations. According to the Ministry of Industry and Trade, Vietnam's rice exports currently account for 15 percent of the total export volume of rice worldwide. In particular, there has been a positive shift in export prices and a high proportion of high quality rice. The average export price in 2018 reached US$504.4/tonne, up 14.6 percent compared to the same period in 2017 and higher than competitors like Thailand, India and Pakistan from US$50 - 100/tonne. It is the result of adjusting from mainly exporting low-grade rice to exporting high quality rice, the proportion of fragrant rice increasing by nearly 10 percent, while the proportion of glutinous rice, Japonica round rice ...all increasing. 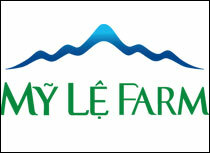 Vietnam has now become a country with many leading agricultural products in the world. 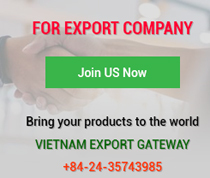 In 2018, Vietnam's agricultural products reached an export turnover of over US$40 billion. Among them, rice is a strong export product of Vietnam. 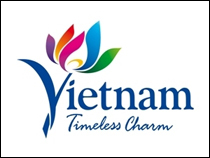 The Vietnamese rice logo has an image of a rice flower stylised into Lac Viet bird symbol, located on an elliptical green background representing rice grains. The leaves of rice that are transformed to create the image of Lac Viet birds fluttering in the fields, reminiscent of the long-standing wet rice civilisation; a typical symbol of Vietnam that has been recognised worldwide. 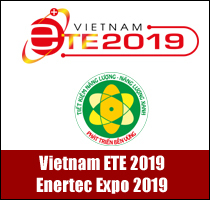 The green background of logo gives a message that Vietnam is a country having developed agricultural production with clean, safe and environmental friendly products.